During its exploration, Juno will orbit Jupiter 32 times, honing in closely to its poles for an entire year. It will measure magnetic fields, gases surrounding the surface, and natural radio waves. This information will help us better understand what’s inside the planet. The probe, which is powered by solar panels that always face the sun, will send information to NASA until September 2018, when it will crash itself into Jupiter’s oceans. These resources below, from our topics on Jupiter and Space Exploration Today can be combined for an in-depth discussion about the significance of what’s happening in our solar system right now. We’ve included some discussion questions below to get the conversation started. The Great Red Spot, from our topic on Jupiter. Named after Jove, the chief god of the Romans, Jupiter is the largest planet in the solar system. It is 11 times larger in diameter than Earth. Thirteen hundred Earths could fit inside! Jupiter does not contain solid rock like Earth does. Instead, it is a swollen ball of hydrogen and helium under layers of clouds. Jupiter’s atmosphere is thousands of miles deep. The cloud tops, which we can see from Earth, resemble an Easter egg, with colorful patterns caused by swirling storms. At the center of Jupiter is a rocky core. Billions of years ago, it captured hydrogen gas to build up a gigantic planet. 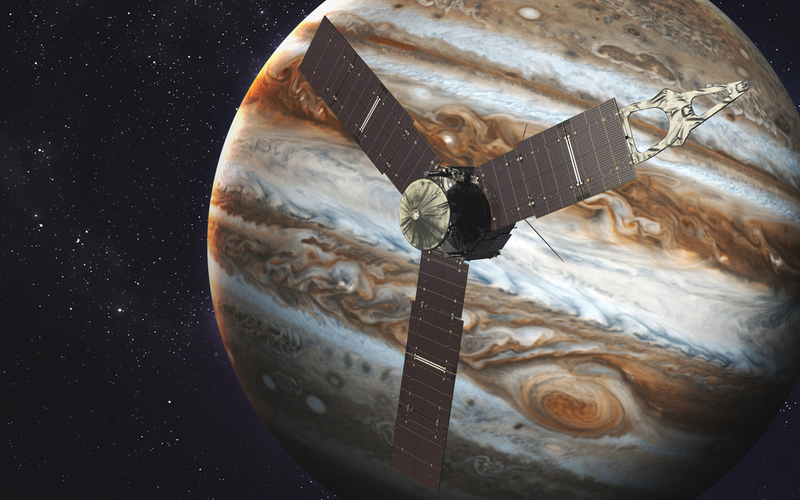 What else do you hope to learn about Jupiter once Juno completes its mission? 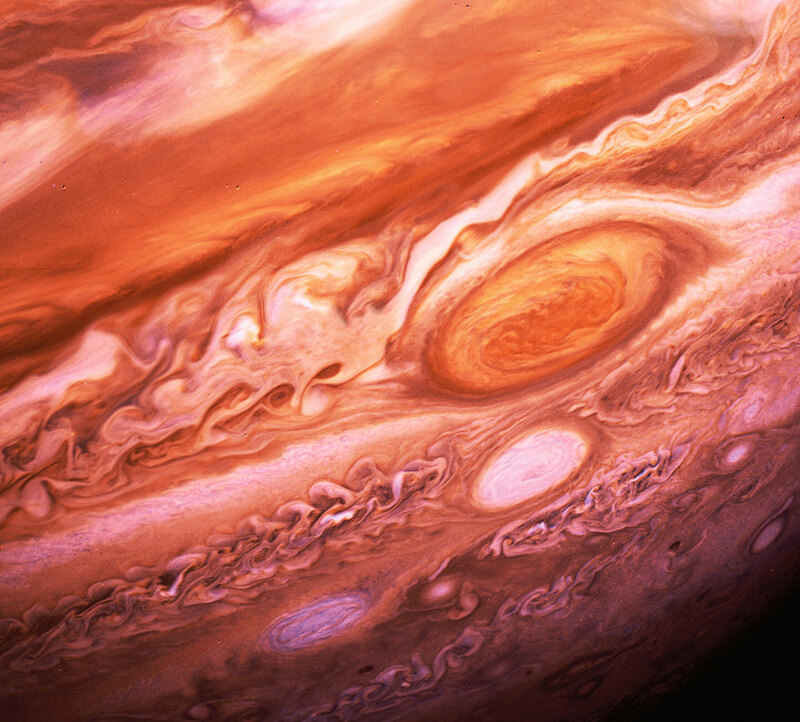 What is the Great Red Spot? Why is it red? What are auroras? What causes the auroras at Jupiter’s north pole? 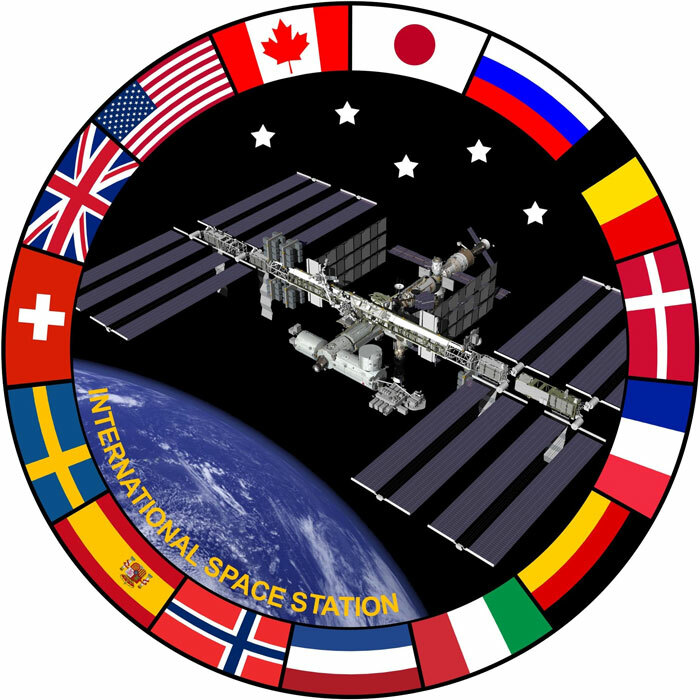 The International Space Station Emblem, from our topic on Space Exploration Today. The twenty-first century is still young, but technology has already opened new paths of space exploration. This topic takes a look at the landmark events in space exploration during the last three decades. How are students involved in the Mars Student Imaging Project? What is space tourism? Would you like to be a space tourist?